In case you didn’t know, medical conferences start *early*. The first presentations are usually at 7am. Day Two started with Case Transmissions: Advances in Catheter Ablation for AF and Left Atrial Appendage (LAA) Closure. These were real patients and real clinicians from all over the world. Not for the gentle of stomach any time of the day. First was Na Homolce Hospital, Prague, Czech Republic. Second was University of Milan Centro Cardiologico Monzino, Milan, Italy. Next was Massachusetts General Hospital in Boston, MA. Then Loyola University Medical Center in Chicago, IL. Followed by Texas Cardiac Arrhythmia Institute in Austin, TX. Intermountain Medical Center in Murray, UT had transmission problems. Look at all those computer screens your EP may have used for your ablation! Randomized Control Trial (RCT) data is the gold standard for drug approval. An RCT is where people are randomly assigned to one treatment. Real world data exists for the all the NOACs (Novel OACS or new blood thinners), should be evaluated, and may strengthen or extend the data we have from RCTs. Real world data obviously enlarge the safety information relating to a particular drug or strategy. Effectiveness can be gauged to only a limited extent. Use of the drug in clinical practice (how your doctor prescribes it) can only be assessed by the analysis of real world data: indication (why take it), adherence (are you taking it every day), persistence (how long have you been taking it), physician management, etc. Comprehensive understanding of the value of a specific therapy should be assessed using RCT *and* real world evidence, appropriately weighted for its likely accuracy. Patients are frequently reluctant to continue OACs (oral anticoagulants or blood thinners) in the absense of ECG monitoring evidence of recurrent Afib and the absence of Afib symptoms after ablation. Patients frequently express a clear preference to stop an OAC even after a detailed discussion of guidelines for anticoagulation after ablation. The common refrain is ‘Would you use anticoagulants if I did not have Afib because I’m not having Afib. NOACs (Non Vit K dependent OAC) have rapid onset of action and may offer opportunity to reduce stroke rate when use on an ‘as needed’ basis for patients with a low Afib event rate. PRN (as needed) use of NOACs when Afib is detected by diligent pulse monitoring twice a day may be safe and effective strategy to maintain a low risk of stroke without increased bleeding risk. This does require the patient be taught how to take an accurate pulse and be compliant. Patient and clinician may prefer a device, such as AliveCor, for accuracy. The clinician will still need to screen for asymptomatic Afib before stopping an OAC, recognize uncommon Afib recurrence on an ongoing basis after stopping the OAC, and need to provide prompt anticoagulation should Afib occur. Serious bleeding is uncommon with NOACs. It is 50% less than with warfarin. Many bleeds are preventable. The most common causes are unnecessary antiplatelet agents like Plavix or NSAIDS (Non-Steroidal Anti-inflammatory Drugs) like ibuprofen and naproxen. For most bleeds, temporarily stopping the NOAC and supportive measures such as mechanical compression or IV fluids are all that is needed. Antidotes are meant for emergency situations such as trauma, urgent surgery, or stroke requiring clots to be dissolved. PCCs (Prothrombin Complex Concentrates) are the current preferred non-specific reversal agent in the ED (Emergency Department). There are three reversal agents for the NOACs. Idarucizumab (Praxbind) for Pradaxa/dabigatran was approved in 2015. Andexanet alfa for Eliquis/apixaban and Xarelto/rivaroxaban is pending FDA approval in 2017. Ciraparantag, a universal reversal agent for all the NOACs, has completed Phase 1 trials for Savaysa/edoxaban. Two more phases are pending. Anticoagulation should be restarted in the majority of patients who experience a bleed once they are stabilized. There is a high occurrence of coronary artery disease (CAD) in patients with Afib, ranging from 18-47%, partly due to common risk factors: older age, high blood pressure, diabetes. However, there are difference in how clots occur in Afib and CAD. This makes PCI (Percutaneous Coronary Intervention – opening arteries and placing a stent) a tricky business. Traditional triple therapy (aspirin, a blood thinner, and Plavix/clopidogrel) is hazardous and we have some evidence that it may not be essential. But, studies to prove non-inferiority (or equal to) or superiority (better than) are not feasible and will never be done. Treatment approach needs to be individualized with emphasis on minimizing the time on multiple agents. The hope is development of new technology will prevent or bypass the need for prolonged anti-thrombotic therapy. Strokes and TIAs (transient ischemic attacks – a stroke that resolves on its own) following LAA (left atrial appendage) electrical isolation may occur regardless of the CHA2DS2-VASc score and most likely happen when patients are off OACs (oral anticoagulants or blood thinners) or non-compliant (not taking them as prescribed) or under the care of unaware physicians that decide that OACs can be stopped. LAA electrical isolation should be considered a risk factor for TIA/stroke and indications for LAA closure device (such as Watchman), or lifelong OACs should be considered no matter the CHA2DS2-VASc score. No difference in readmission rates. Multidisciplinary AF Pathway is practical and effective in reducing hospitalization. A prospective two center study is nearing completion for comparison and more data. A system-wide implementation is planned. Cryoballoon-based (cold) PVI (pulmonary vein isolation) is non-inferior (equal to) RF-based (heat) PVI with regard to effectiveness and safety, and superior in re-hospitalization and re-ablation. Cryoballoon-based PVI is associated with a favorable cost-efficacy profile when compared to RF-based PVI. Second generation systems are under clinical evaluation. A novel RF ablation system combines direct visualization of the anatomical substrate (within and outside the pulmonary veins) as well as lesion formation. 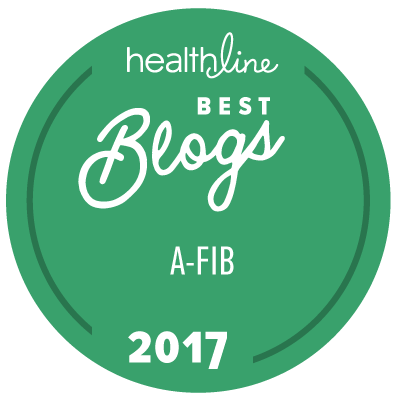 While still a work in progress, thinking beyond burning with heat or cold is the next step for Afib ablation. The foundation is to think outside the box or heart. It requires that clinician and researcher clearly understand anatomy. It needs an integrated anatomical imaging or multiple views of the heart by different methods at the same time. They also need to clearly see the tissues and target the arrhythmias including Afib, VTach (ventricular tachycardia) and VFib (ventricular fibrillation). It will entail changes to treatment planning and protocols. There are both photonic (light) and particle (matter) therapies to consider. Most of all, this has to be done to a beating heart in motion. Whoohoo! We ended early at 5:30pm!